Samuel Grant Packaging, the North’s largest packaging distributor, have become the UK arm of PackSynergy, a network of 17 leading European packaging materials distributors. 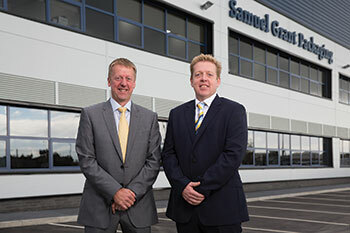 Joining the group of equally innovative and entrepreneurial companies will give Samuel Grant Packaging the opportunity to mitigate the risk of supplier challenges that could be caused by Brexit, expand their distribution network further into Europe, and swap best practice with their European counterparts. The group meet regularly to discuss trends and innovations in the world of industrial packaging, to share their knowledge and expertise in a collaborative way. They are also able to pool their experiences in warehouse and logistics management. The key focus for current discussions is the pressure against the industry to reduce plastic use, and move towards biodegradable packaging, therefore helping customers to achieve their environmental goals, and in turn protect the marine environment, without compromising on quality or efficiency of service. This entry was posted in News and tagged Print & Packaging. Bookmark the permalink.